Pizza, barbecue, and more American faves come in a doughy, hearty cone here. 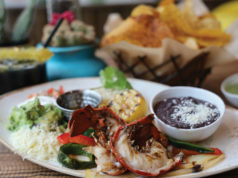 American cuisine isn’t known for its original dishes as much as for the repurposing of old ones. Ground beef (hamburgers) and German sausage (hot dogs) weren’t new, but putting them on buns was. In the spirit of this distinctly American approach, Epic Cones is rethinking how we eat a wide range of familiar favorites. Being located in a gas station doesn’t usually translate to five-star dining (unless you’re Chef Point Café), but on a recent visit the well-lit Epic Cones was spotless. 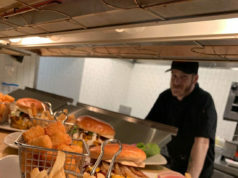 The restaurant is just one large room with several tables and a check-out counter separating the dining area from the kitchen. On this day, one very friendly and very busy guy was working as both cook and waiter. And by “very busy,” we mean “very busy” –– the line was long. 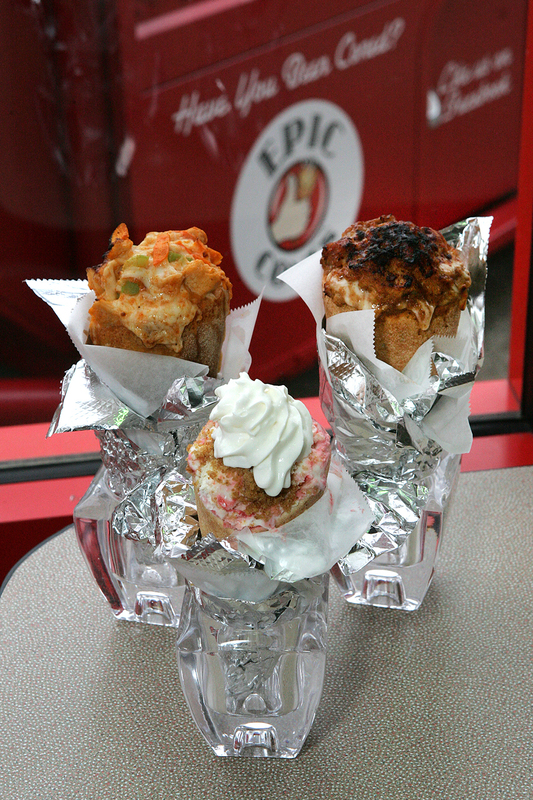 Epic Cones offers various pizzas, burgers, barbecue items, and other popular dishes one way: baked in a cone. Even the veggies come that way. We’re not talking the kinds of cones that come with ice cream in them, though Epic Cones’ look about the same. No, we’re talking cones with the consistency of pizza dough but with more cornmeal and a little garlic powder. They’re surprisingly moist and really delicious. And the quirky shape doesn’t really matter after the first bite or two. All of the ingredients are appropriately proportioned. The brisket came out first. Accompanied by a sweet barbecue sauce and gobs of melted mozzarella, the generous portion of meat was soft and juicy. On the less greasy side you’ve got three vegetarian options: grilled vegetables, vegetable frittata, and, my choice, bruschetta. The first bite was pure al fresco heaven, with mounds of shredded mozzarella, diced red onions, crisp bell pepper slices, and chunks of ripe tomatoes, everything awash in a tangy balsamic vinegar and fragrant oregano bits. The barbecue-bacon “Cheezy” burger gave me déjà vu. 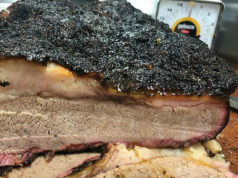 Was this the brisket again? No, but the two orders tasted a little too similar. The problem wasn’t with the main ingredients –– the Cheezy definitely included hamburger and smoky bacon. It’s just that both orders came with … barbecue sauce and mozzarella. Maybe some cheddar or American cheese would have helped. And maybe a veggie or two. One of five pizza options, the meat lovers’ (pepperoni, sausage, bacon, and hamburger) had all the right moves. Admittedly, it paled in comparison to the pies being served by the gourmet brick-oven pizzerias around the Near Southside and West 7th corridor, but that doesn’t mean it wasn’t great. The pepperoni was pungent and had a nice paprika kick, and the sausage was delightfully hyped up on fennel. Mingling among the heaps of meat was a blend of mozzarella and chopped tomatoes. The savoriness of the garlic-infused bread, spicy meats, and gooey cheese was a reminder that there’s more than one way to make –– and eat –– a pizza. Even after the novelty of chomping down on traditional American favorites in a cone wore off, Epic Cones still made for some pretty good eating, a fun and stomach-filling affair. 4331 Kelly Elliott Rd, Arlington. 682-587-4484. 11am-6pm Sun, 10am-8pm Mon-Sat. All major credit cards accepted.